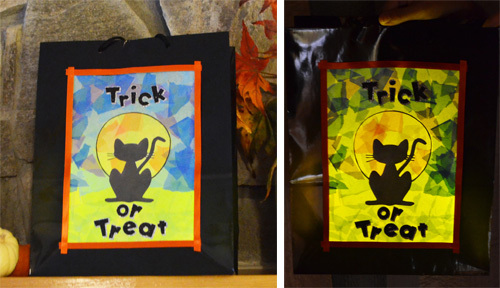 If you’ve got kids trick or treating this year, keep them safe and wow their friends with this Light Up Treat Bag. This amazing effect takes a few craft supplies and some glow sticks. Definitely a fun family project for the day before Halloween.